Today I have got a review that I know A LOT of people were interested in when I originally teased back in December, and it’s finally here! So, for quite a bit of time now, I have been trying out this deodorant kindly sent to me by the brand (and real life couple) Ben & Anna*. And, I’ll be honest, I was a little worried about how this was going to go for two main reasons. 1- I don’t like roll on deodorants (I’m usually a spray kinda gal) and 2- I have heard so many bad things about other vegan deodorants in the past. 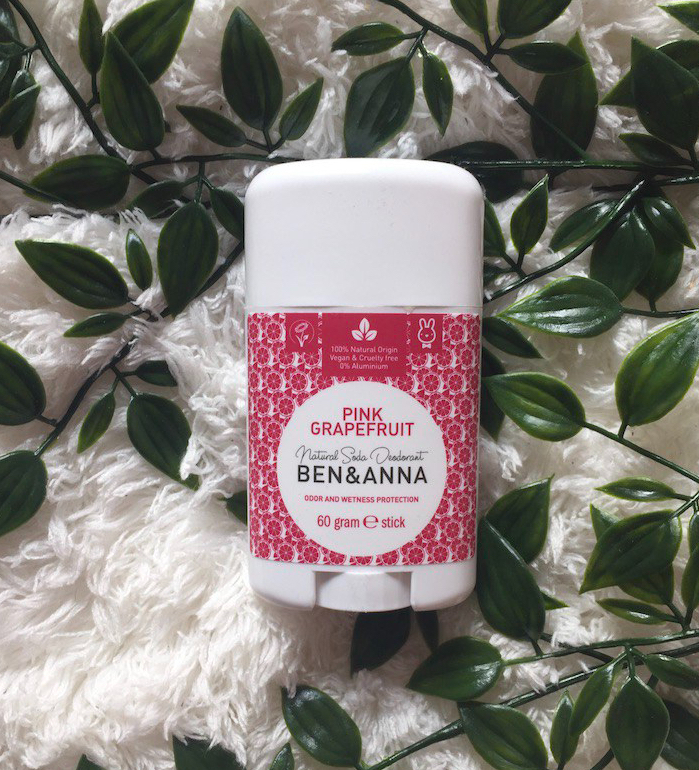 But, it’s really difficult to find a cruelty free deodorant brand, and so I decided to give this a good go! First thing’s first, it smells bloody lovely. 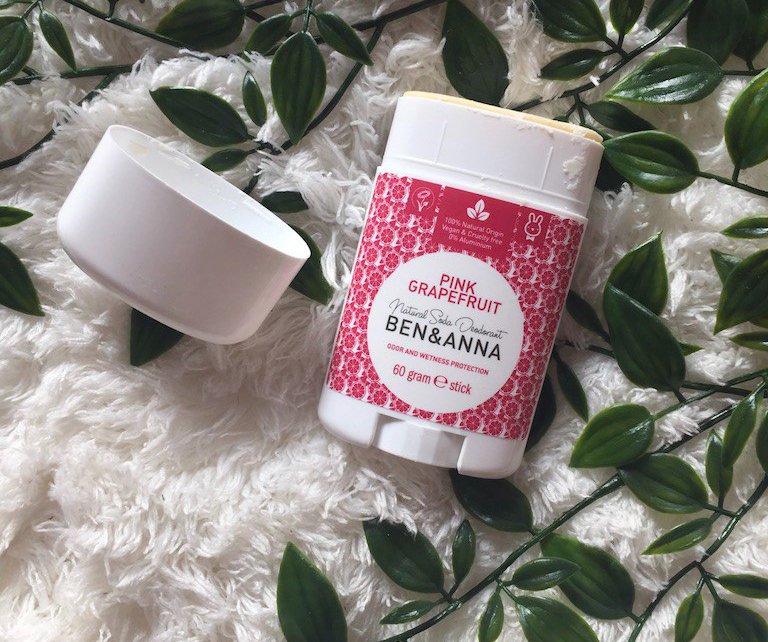 The pink grapefruit scent smells so fruity and fresh, I actually couldn’t believe that it’s all from natural origins; it smells like sweets! The design is also super pretty and simple, I love it. 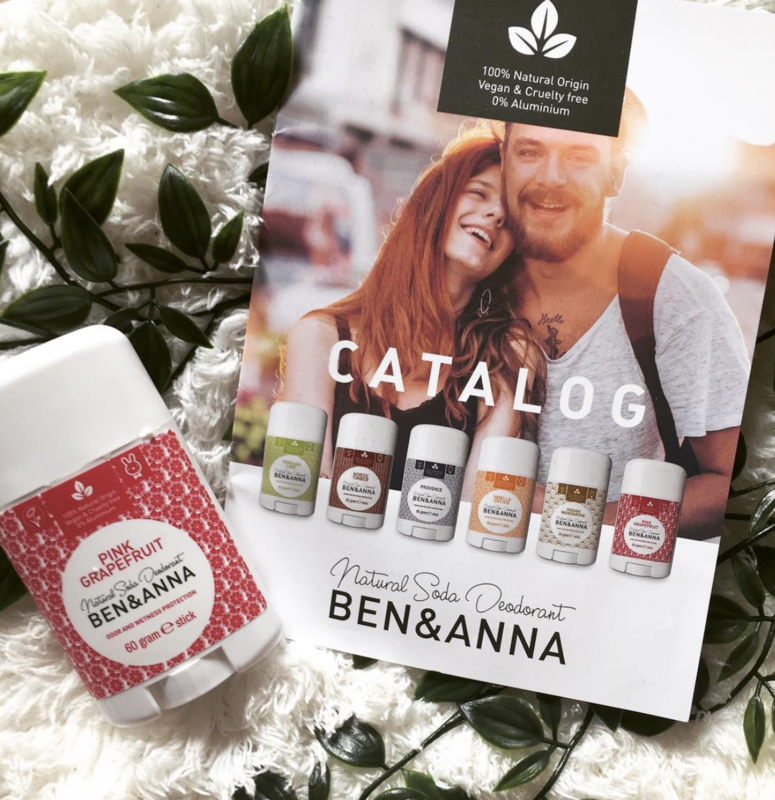 I also love that Ben and Anna are a real-life couple and that the images used in the branding of the product leaflets etc are of them, which gives the company a really authentic and genuine feel! In terms of the actual deodorant itself, I have no complaints! If it’s cold, the stick can get a little dry, but this is easily remedied by warming in on the radiator for a few minutes! I also like to wet the edge of the stick for easier application! It does take a little longer to dry than my usual deodorant, but I expected that given that it’s a roll-on! However, the natural ingredient of bicarbonate soda exceeds in keeping my pits dry, so all is good! The smell is also great. I mean, if you’re running a marathon, you might need a little top up during the day. However, I’ve found that it succeeds in protecting me from stench in my general day-to-day! The only downfall of this deodorant for me is the price. At £9.95, I do think it is a little pricey! However, given that this is still a relatively small business, and that this product is all natural and cruelty free, I would be willing to pay it. Plus, you get a lot of product in just one stick! With 6 (gender-neutral) scents all together, ranging from vanilla orchid to nordic timber, there’s one to suit everyone! You can shop their products HERE, visit their site HERE and visit their instagram page HERE! Would you give this deodorant a try? Let me know in the comments! *This product was sent in exchange for this review. All opinions are my own. For more information, see my Disclaimer. This actually sounds like a really good product but funnily enough, I’ve recently stopped using deodorant but I’m definitely open to trying new ones! Im still struggling to find a good vegan deodorant so might have to try this!!! Great review! I love how honest you are. These sound great, thanks for sharing. I love how they come in so many different scents and the packaging is lovely too. 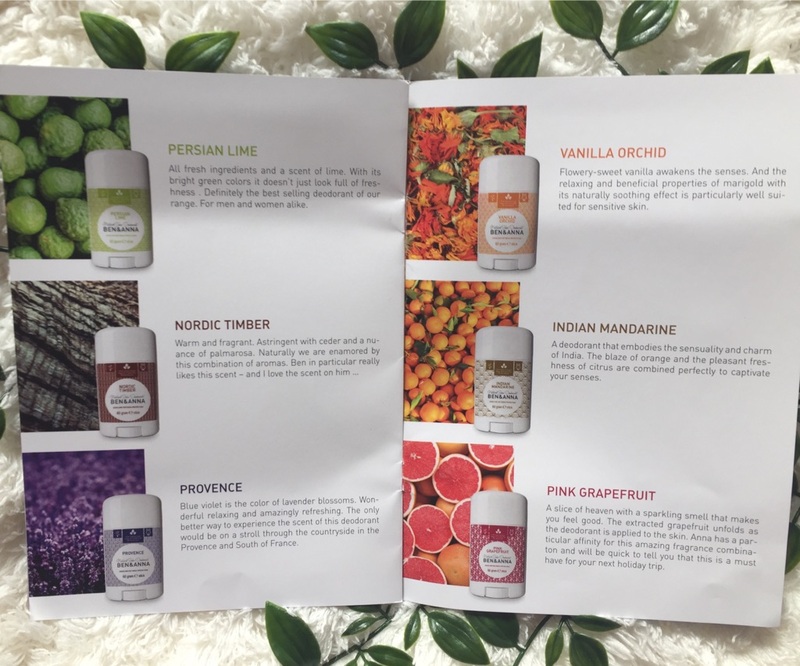 I am a big experimenter with deodorants, I have tried so many options in my efforts to find the perfect vegan and cruelty free product! This sounds fantastic though, a lot of natural deodorants aren’t antiperspirants which is why a lot of people seem to dislike them but if this succeeded in keeping you dry for the most part, I’m impressed! Thanks for sharing your thoughts! Ooooh, those scents must smell amazing! 😍 I especially love the sound of the pink grapefruit and the Indian mandarine ones. I love anything citrus so those would definitely be the ones I’d choose. The packaging is beautiful too! I’ve been looking for a good vegan deodorant for ages. I agree it’s a little pricey but still keen to give it a go! Deodorant is one of the most important products to switch ver, since aluminum is so bad for you! Previous Post Why Am I So Bad At Taking Breaks?